administers the Trade Adjustment Assistance for Firms program in Michigan, Ohio, and Indiana. The Center was established in 1982 and has been located at the University of Michigan since its founding. Trade Adjustment Assistance for Firms (TAAF) is the only federal program specifically designed to help companies that have been negatively affected by foreign competition. 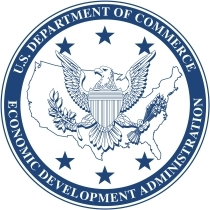 The program is supported by the Economic Development Administration (EDA) of the U.S. Department of Commerce. Through the program, GLTAAC provides management and technical assistance to trade-injured firms on a cost-shared basis. More specifically, GLTAAC helps eligible companies assess their current business situation, works with them to develop a realistic strategy and actionable plan for recovery, then facilitates its implementation by paying for 50% of the cost of hiring outside, private-sector consultants to complete the projects identified in the plan. Firms can qualify for up to $75, 000 co-funding assistance to implement their projects. To be eligible, a firm must have experienced at least a 5% drop in sales and a 5% decrease in average employment, typically on a year-over-year basis, with significant business lost to imports during the period.